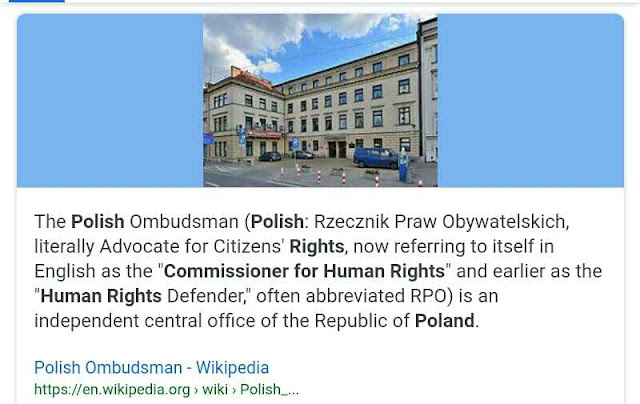 I use term "idiot" because it is normal for Russian to discuss issues such as normal and abnormal in our countries while engaging against us with acts of terrorism as is case of my own. Today KGB baboon and his fellows are at the 77th Brigade’s barracks gate in Hermitage, Berkshire as well as blocking Ukrainian Kerch strait on the Black Sea(related to https://www.theguardian.com/world/2018/dec/02/putin-refuses-to-release-ukrainian-sailors-and-ships) and tomorrow they will pass gate in Berkshire - blocking also Strait of Dover !!!! ENOUGH IS ENOUGH !!! 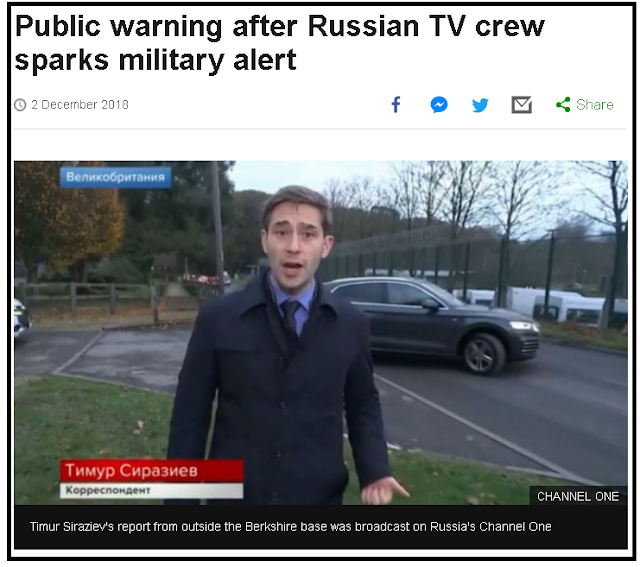 A journalist for Russian-state media reportedly triggered a top-level security alert after he was observed filming outside a British military cyberwarfare headquarters. 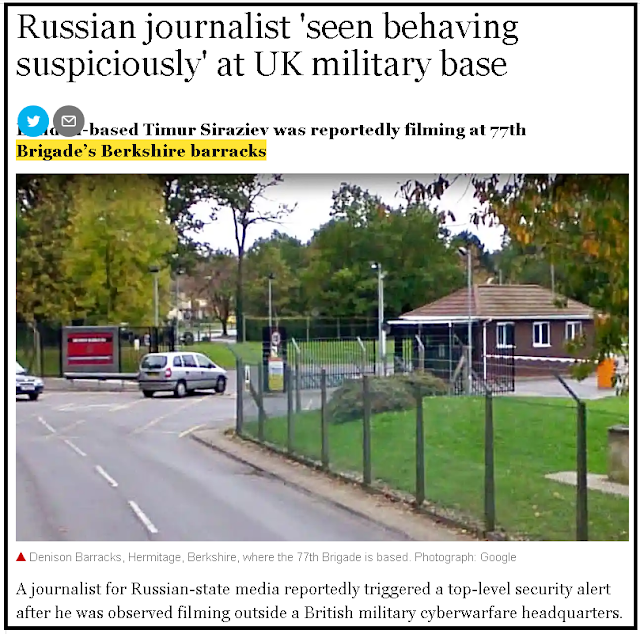 Timur Siraziev was seen passing the 77th Brigade’s barracks in Hermitage, Berkshire, as he filmed a report for Russia’s Channel One alleging UK officials faked evidence to prove that Russia had committed war crimes in Syria, the Mail on Sunday said. Siraziev is listed on the Russian embassy website as bureau chief for the television station and he is understood to have reported from Salisbury, Wiltshire, on the poisoning of Sergei Skripal and his daughter Yulia. Siraziev told the Mail on Sunday he would not comment. The 77th Brigade is understood to conduct cyber-attacks on terror networks, tackle propaganda online and engage in counter-piracy and counter-insurgency activities on the dark web. According to the army website, it is a regular and reserve unit that aims to “challenge the difficulties of modern warfare using non-lethal engagement and legitimate non-military levers as a means to adapt behaviours of the opposing forces and adversaries”. The alert comes at a time of heightened political tensions between Britain and Russia following the poisoning of the Skripals earlier this year. Russia has repeatedly denied its agents were behind the attempted assassination. The attack hospitalised a British police officer and three months later, two Wiltshire residents, Charlie Rowley and Dawn Sturgess, were exposed to novichok contained in the fake perfume bottle and Sturgess died. Two Russian nationals were named and charged over poisoning of the Skripals. The investigative website Bellingcat identified the men as Alexander Mishkin, a doctor working for Russia’s GRU military spy agency, Col Anatoliy Chepiga, a special forces veteran. In his reporting, Siraziev is understood to have described the case against Moscow as a hoax. Days after the security alert, Channel One broadcast Siraziev’s eight-minute report on 77th Brigade. According to the Mail on Sunday, he told viewers: “In a forest 100km [60 miles] from London, a British army unit guards its secrets like a national treasure.